Every company has certain records that they need to hold on to for a significant amount of time. It could be that they’re highly confidential and need to be secured or just personnel or tax records that need to be retained to make sure you comply with federal and state regulations. Just because you have to hang on to records doesn’t mean that you necessarily have to store them on-site in your office. In fact, you probably run a greater risk of a data breach in your office than if you store your records offsite. Archiving your documents after they reach a certain point in your document management plan will give you the ability to improve your efficiency, reduce the amount of hard-copy documents you have on site, and give you the ability to protect your company from litigation and natural disasters. We want to be sure you understand the importance of archiving your documents and business files- so let’s dive into some of the reasons it’s a good idea to have a plan once your documents reach the end of their practical use. One of the biggest questions we get on long-term records storage is on figuring out which documents, files, or records you need to consider holding onto long-term. This list includes some of the documents and/or records that you should archive. We included anything that should be retained permanently. By no means is this a comprehensive list, since regulatory, governmental, and company requirements vary greatly- but it does include some of the ‘must haves’ for archival purposes. Records retention requirements are also different from state to state. If you want more details on various record retention times, check out this article on business retention times. These records are everything that you use to start and maintain a business. This includes any and all contracts that your businesses entered into from its inception. Minutes of corporate or executive meetings can come in handy in case your company is involved in employee litigation- and legal correspondence can help keep your company out of trouble. Whether you’re a privately held or publicly held company, keeping detailed information on your financial records will ensure that you have all information on hand in case of an audit, or any questions about contracts, inventory, checks, employee payroll and more. Don’t just be meticulous about maintaining financial records- be sure to keep them organized month and year and the type of financial records you need to retain. Personnel records come in handy when you need supporting evidence for unemployment claims, or if there is an accident resulting in an injury onsite when a claim was filed. It’s also important to keep meticulous records of any OSHA Training, Violations, and Corrections in case of a surprise OSHA safety inspection. *Note- most personnel documents don’t need to be held long-term- but the retention periods for several common employee records (benefit plans, I-9 forms, personnel files, etc.) begin after the employee is terminated from employment at your company. 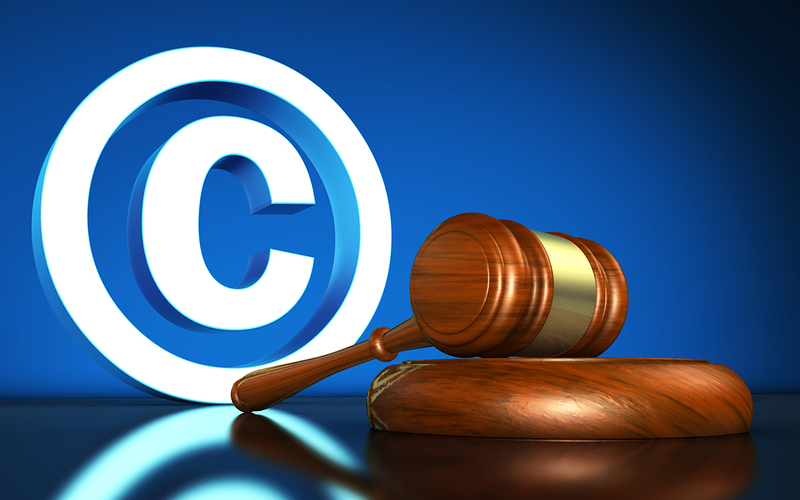 Intellectual property and proprietary information and processes can make or break a company. This type of documentation needs to be maintained in perpetuity to ensure that your company’s confidential information is protected. Whether you have one location or multiple locations, you should hold onto all information that’s pertinent to all property and buildings that you own, rent, or sell, including mortgages, contracts, and deeds. Although it’s recommended to only hold on to deeds permanently, it’s probably a good idea to hold on to any and all real estate records until well after the retention time passes. Any pension and profit sharing documentation and records need to be retained forever. Pensions for former employees usually last lifetimes- losing or destroying this information can cost the company millions. As you can see, there’s dozens of records that need to be maintained permanently, and several dozen more that need to be retained from 4-10 years- finding a place for these records in an office can be difficult. That’s where secure off-site records facilities come in handy. Set up a system that allows you to flag files that are older and ready to store, and then hire a document management company to take care of the files you need to access occasionally, but retain long-term. 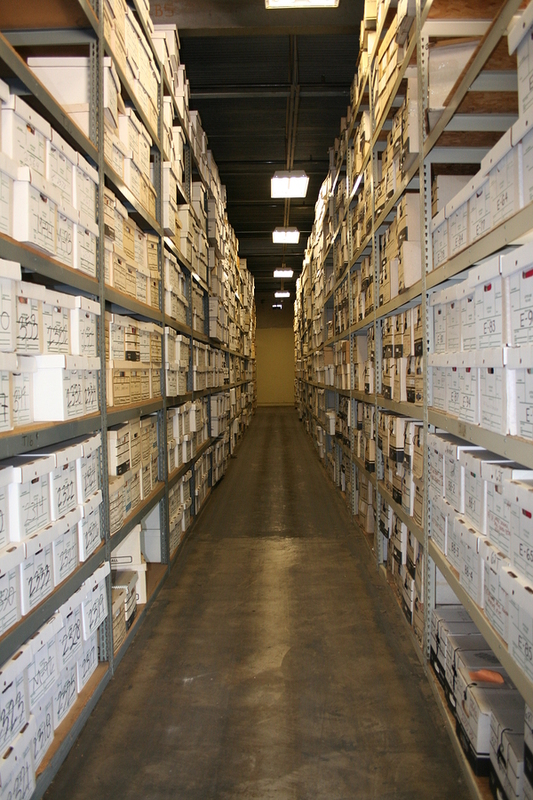 Storing physical records requires access to special filing rooms with environmental controls to ensure their preservation. 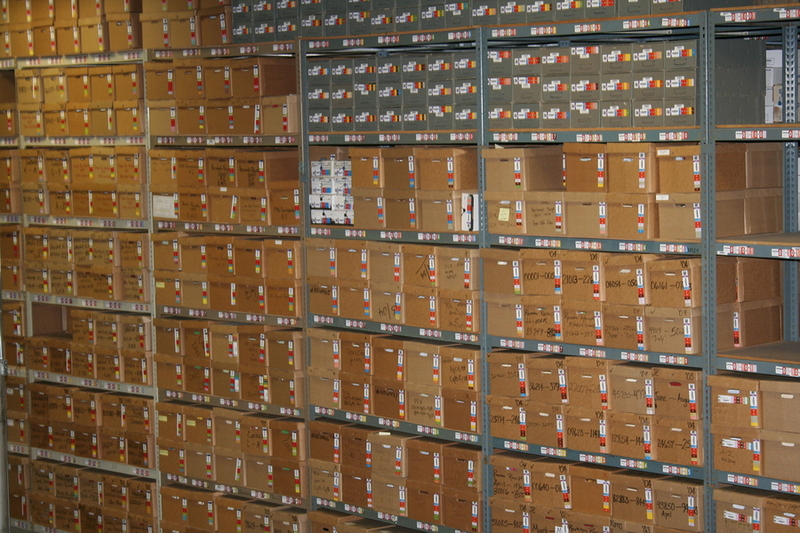 Vital records are normally kept safe in disaster-resistant vaults to protect against natural disasters. If you don’t have these facilities onsite, let us help you find a provider that can provide secure delivery, pick-up, and even emergency services if you need a file quickly. You can also digitize your documents and store them in a cloud-based system, eliminating your hard-copy documents and creating digital versions that can be accessed anywhere and indexed so they can be found easily. Many consequences can arise because of bad records management. Everything must be tracked in a business because of taxes and budget concerns. All business big or small should have a budget in place. Not keeping good records can result in businesses exhausting the budget and spend more than is coming in. This can result in problems with suppliers, payroll, utilities, and more. The brand recognition and the reputation of the business can become tarnished if any problems arise, especially when it comes to payroll. Failure to pay employees can also result in legal consequences. Record Nations can help with Document and Records Storage!